Commonwealth of Australia Gazette No. 27 Design competition for The Flag of Australia announced by the first Australian Prime Minister, Edmund Barton. First official raising of the blue Australian Flag at the Royal Exhibition Building, Melbourne. Commonwealth of Australia Gazette No. 8 Proclamation that King Edward VII had approved design for the Flag of Australia. Commonwealth of Australia Gazette No. 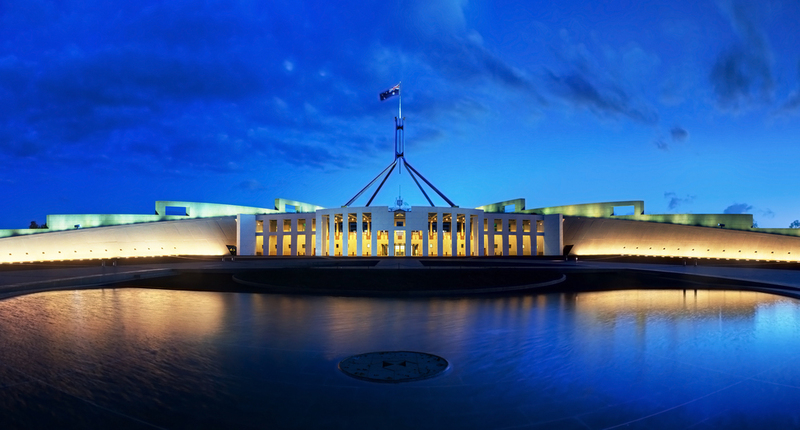 65 (page 1709) announced addition of 7th point to the Commonwealth Star to represent Australian Territories. Commonwealth Gazette No.18 gives descriptions and specifications of the Australian Blue Ensign and the red merchant flag of Australia. 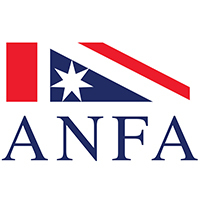 Commonwealth Government ‘Flags Act 1953’ (Hansard reports, 20/11/1953 and 2/12/1953) the status of The Flag confirmed by legislation and title to be the Australian National Flag. Commonwealth of Australia Gazette No. S321 Proclamation of Australian National Flag Day – (Anniversary of our Flag). Commemorating the day in 1901 on which the Australian National Flag was first flown. Flag Amendments Bill amended the Flags Act 1953 to ensure that the Australian National Flag can only be changed if the electorate approves. Commonwealth Gazette No. S382 (Special) Proclamation of the Centenary Flag Warrant. 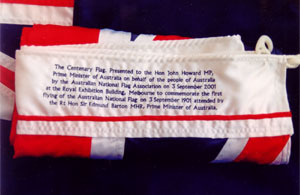 The Centenary Flag is the flag presented on 3 September 2001 to the Prime Minister by the Australian National Flag Association, being an Australian National Flag suitably inscribed with flag centenary message. Please click here to view the warrant.